Following my experience as a participant of the Hannaton Mechina and while in active army service, I missed the meaningful experiences of my mechina days. After completing my army service in 2016, I decided what I needed was a return to some meaningful activities. However, I also needed to earn some money! Finding my way to my current position as a group leader for Meitzer Mechina in the Golan Heights wasn’t a direct path, but it was one that was surely inspired by my participation in the Hannaton Mechina. Let me tell you how it happened. After my army service, I decided to hike on Shvil Yisrael, the Israel National Trail, which crosses the state from the northern to southern borders. Nature’s beauty, the people I met along the way, and many special moments I’ll never forget made this one of the greatest experiences of my life. More than that, it made me want to continue going on tiyulim (small trips), so I began to work as a tour security guard for schools and youth movements, and also for tourist groups from overseas. For a time, I accompanied students of various ages, from many different schools, and many different backgrounds, including those from Israel’s peripheral regions. The differences between the students from the periphery, typically poorer, and those from wealthier central areas of the country were all too clear. This affected me and got me to start thinking about what I could do to change the Israeli education system. While I enjoyed my time working as a guard, inside I also felt a sense of emptiness. I knew I could be contributing more to Israeli youth than I was as a guard. I wanted to make an impact on Israeli education. But how? I heard about a program called “Netaim” (Sprouts), which combines agricultural labor, studies, and communal living. What’s more, the program is based in the Golan Heights, a region I’d always dreamed of living in. I sensed that this program could offer me a framework similar to that of the Hannaton Mechina, while providing me with an opportunity to contribute to Israeli society in a way that is aligned with my hopes and goals. So I registered for this program. It was a wonderful time, with great people and a group leader who did far more than what his job required. He was a great role model. After a while in the program, I noticed I began to feel differently about my own role in the program–rather than simply participating, I started acting as a leader. It was clear that this leader had brought out in me my own leadership ability, something I took to. 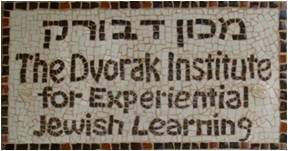 After a number of months of introspection, I decided I also wanted to be a group leader, in particular for an Israeli mechina program. But in the meantime, I had planned and eventually left for a “post-army” trek to the Far East, without making any concrete plans for working upon my return to Israel. While trekking in snowy Nepal, I heard the horrible news about the tragedy of the nine young people from the B’nei Tzion mechina killed in a flash flood while on a trip in the Negev on April 26, 2018. The news was very painful and distressing to me. In the days after, I read many articles about the tragedy, and I saw how the entire framework of the mechinot was being criticized. And since for me, the mechinot are not just an educational institution, but a home, I took this very personally. While the B’nei Tzion tragedy was clearly a result of insufficient precautions, it does not make the mechina system as a whole bad or evil. 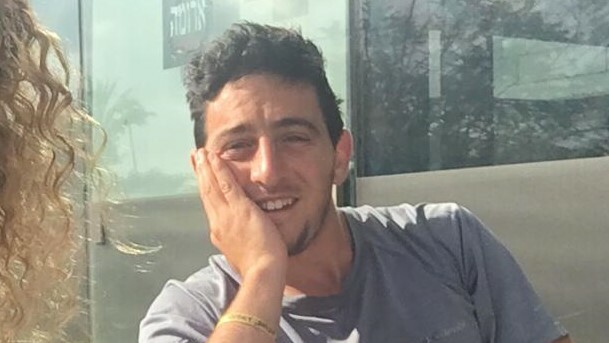 In fact, my mechina experience changed my life for the better, as it does for thousands of young Israelis each year. I owe the mechina so much, and especially, in light of that tragedy and the discussions after, my gut feeling was strengthened. Namely, I needed to just “jump in the water” and return to a mechina environment in a leadership position. After checking things out on the Internet and some deep discussions with friends, I arranged to work as a group leader at the Meitzar Mechina in the Golan. I’ve now been working in this role since August 2018. The days are long, and things are not simple. The challenges are ongoing. As time goes on, however, I see a deepening connection between me and my 21 mechinistim (mechina participants). I’m proud of each and every one of them. And so it seems, ever since that year at the Hannaton Mechina, the best year of my life, I’m not the same Binyamin. The experience at the Hannaton Mechina was inspirational for me, affecting me still at all times and in all my decisions. My friends from the mechina year are still my best friends, and I can hardly imagine what my life would be like without them. I’ve come to understand that I need to be in a place where I feel challenged, and where I can grow, and expand my horizons. I feel that the search for meaning–sparked by and encouraged in the mechina –has become part of my everyday life. Even now, when I’m busy with my educational work at Meitzar, I seek to find meaning in all that I do. Was the decision to serve as a group leader at the mechina the proper one, at this stage in my life? I can’t say for sure. But what I can say with certainty is that the decision to work at the mechina was truly my decision. And because it was my decision, it has helped me learn much more about myself, and has given me a great leap in the right direction, as I look towards the next stages of my life.